Marinfloc AB is a Swedish organization built on the knowledge and experience of shipboard Engineers. 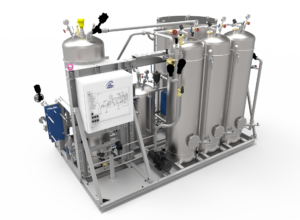 Determined to develop and manufacture waste water treatment systems which consistently perform, Marinfloc’s Emulsion Breaking Bilge Water Cleaning System redefined oily water separators in 1994. With over 300 installations, including nearly every cruise vessel afloat, the Marinfloc EBBWCS consistently offers effluent levels of less than 5ppm – far exceeding the regulatory requirement. Marinfloc’s success with improving the technology available for the treatment of bilge water led to the development of the White Box. 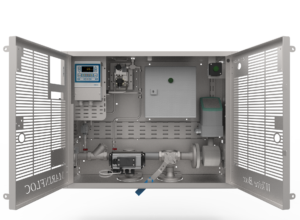 The Marinfloc White Box System (WBS) is a fail safe syst em incorporating the features of an oil content meter’s control over a 3 way valves return function into a central locked location. This offers assurance to operators that water with an oil content in excess of 15ppm will not be accidently discharged overboard.